The Standards and Assessment Division is excited to welcome and present its newest team members, Terra Hernandez and Sharla Dowding, EdD. 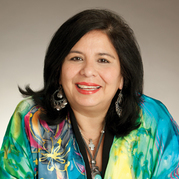 Terra Hernandez is the English Language Arts/Fine and Performing Arts Consultant. Terra, who hails from northwestern Nevada, received her B.A. in education from the University of Northern Colorado and M.Ed. from Lesley University. She spent 15 years teaching in Colorado, Nevada and Wyoming. Her passion centers on building relationships with teachers, students and constituents to successfully integrate the arts into curriculum.Terra enjoys sewing, hiking, fishing, camping, reading and spending time with her family. Sharla Dowding is the Science/Curriculum and Vocational Education Consultant. She taught high school science for 26 years, is a National Board Certified teacher and the past president of the Wyoming Science Teachers Association. Sharla received her B.S./M.A. from Chadron State College and Ed.D. from Montana State University. She is an active member of the National and Wyoming Science Teachers Associations. Serving as both a National Geographic and NASA education ambassador, Sharla has presented sessions for teachers at several state, regional and national conferences. The WDE is in the process of establishing a committee to meet, discuss and gather feedback on the upcoming 9th and 10th grade state summative assessments which will be administered spring 2018. This committee will look at the standards, consider concept specifics for each grade, and identify areas that can be assessed as well as how to differentiate between the two grades. This meeting will start the discussion, and the committee may need to have future meetings depending on the decisions made at this initial meeting. We are looking for high school educators in the areas of math, science and ELA. Committee members will receive a stipend for this work. Those interested may apply to serve on this committee by answering a brief survey. The WDE will be convening a committee to create extended science standards for grades K-12. Special education teachers are needed to work with teachers from the Science Standards Review Committee to build the extended standards based on the general 2016 Science Standards. Committee members will be reimbursed for travel expenses and receive a stipend and PTSB credit. Those interested may apply to serve on this committee by answering a brief survey. Full STE(A)M Ahead! Conference attendees will engage in active, hands-on experiences that will prepare them to incorporate STEAM (STEM plus the Arts) principles, lessons, activities and ideas into their learning environments. 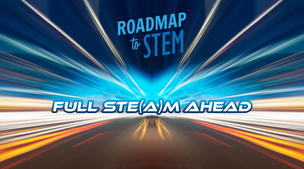 We extend an invitation to K-16 STEM educators, counselors, administrators, after-school providers, and others interested in STEAM education to attend. Join us as we discover many of the natural wonders, STEM programs and industries, and historical landmarks of northeast Wyoming. Get ready for a three-day adventure packed with experiential learning opportunities! PTSB (1.5), UW Graduate (1), and STAR credits will be available for this conference. The UW Literacy Conference, hosted by the Literacy Research Center and Clinic, brings together Wyoming educators to explore current issues and trends in writing instruction as well as principles and practices related to state standards. The conference will showcase how ELA standards are woven into writing instruction across all content areas. Attendees will also be introduced to the resources available at UW’s Literacy Research Center and Clinic. Scholarships are available for Wyoming 5th, 8th, 9th, and 11th grade teachers to attend the 2017 Colonial Williamsburg Teacher Institute. The institute will provide six days of sessions that will immerse participants in American history in Williamsburg, the restored capitol of 18th century Virginia, as well as nearby historic sites. 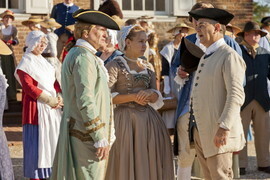 Each scholarship includes room (double occupancy), most meals, resource materials, and air transportation to Williamsburg, Va.
More information on the Institute: http://www.history.org/cwti. Since 2014, the Wyoming State Museum in Cheyenne has offered virtual field trips to K-12 classrooms with nearly 7,000 students from 43 states and 16 foreign countries having taken part. Your students can participate, too. While the museum’s most popular virtual field trip is a Mystery Skype, it offers other programs that address Wyoming Content and Performance Standards. Contact Nathan Doerr, Curator of Education, nathan.doerr@wyo.gov or (307) 777-7021. “Geography at the Intersection of Art and Literature” will be offered on the University of Wyoming campus free for educators. The four-part series features Cat Urbigkit, Gene Gagliano, Zachary Pullen and Dr. Julie Francis. Gain access to Wyoming Geographic Alliance resources, explore WyoHistory.org and various primary source repositories, and discover the Wyoming Student Atlas and ways to integrate the maps into curricula. Earn 1.5 PTSB credits and optional 1 UW Outreach credit for $50 (pending approval for both). Scholarships available to support lodging and mileage reimbursement. For more information, click here or contact Jessica Flock at jflock@uwyo.edu or wga@uwyo.edu. The 2017 Reaching The Wounded Student Conference provides an opportunity for educators and other professionals working with youth to get connected, inspired and empowered to keep bringing hope for the wounded. This staff development event is for school/district administrators, teachers, counselors, community and faith-based youth practitioners. The University of Colorado is offering teachers a humanities approach to engage in study, analysis and discussion of Korea’s interactions with the modern world. Work with Korean studies scholars and specialists to learn about the Korean people’s experience of colonialism, democracy, the Cold War, communism, command economics, and capitalism in the last 125 years. Priority for the seminar, which is open to Colorado and Wyoming teachers grades 6-12, will be given to social studies teachers and teacher teams. A combination of online, residential and one-day workshop formats will be offered for a total of 30 hours. (Graduate credit through CU optional.) Contact Catherine Ishida at catherine.ishida@colorado.edu. The Constitutional Rights Foundation, a 55-year-old nonpartisan, nonprofit organization, has zero Wyoming teachers involved in its free Civic Action Project. So the first five Wyoming teachers who register on the project’s website and who would like to learn more will receive a $50 stipend and support for the 2017-18 school year.